Cane Sword White Skull | BUDK.com - Knives & Swords At The Lowest Prices! This is one wicked sword cane you certainly have to have! It features a 15" stainless steel blade that slides into the aluminum shaft. I own it and I have sold it to others. 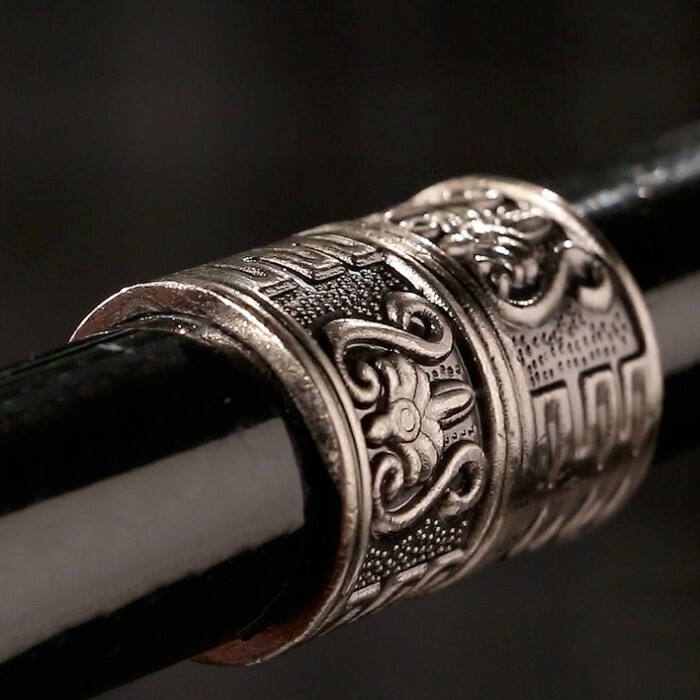 This sword cane is highly recommended due its look and quality! I love this cane! for the money it was a great deal. looks very cool. the blade is not sharpened like other cane sword i bought, but that's ok. will go good with my pirate outfit. The blade isn't sharp (no surprise there) but what do you expect for $19.99??? but other than that its cool for what I paid for. Its not for dueling or anything like that. I bought this for my father since he likes skulls and swords. He likes it very much but there are some things you should know if you are looking for quality of the sword. The sword is a short sword and completely dull. It cannot cut anything because the blade is like a hammer, no edge. It maybe like that so you can use it more often without it being a huge danger. It is also the same size as my leg so if you are taller than 6 you might have an issue with it. 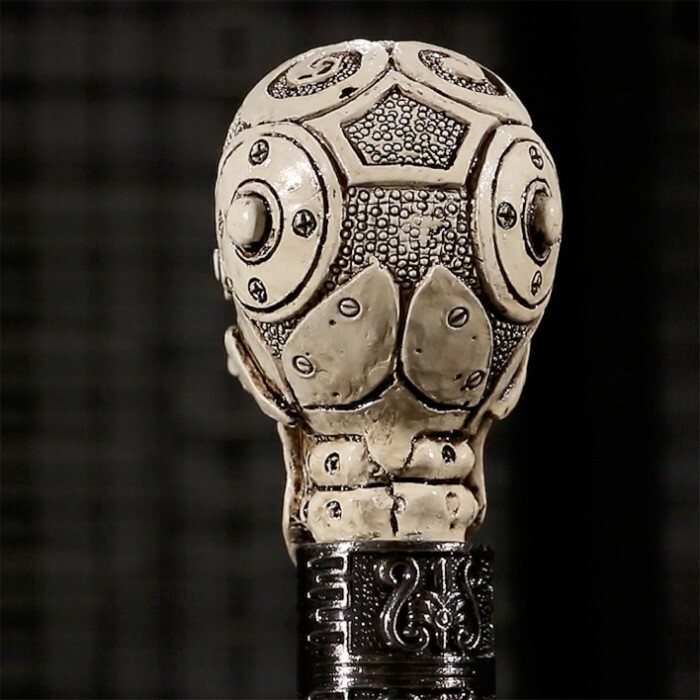 But other than that you will love this if you are looking for a cool looking cane. Sword was butter knife dull, no edge on it all, but the cane it self is very sturdy and looks great! very detailed and cool as h**l! 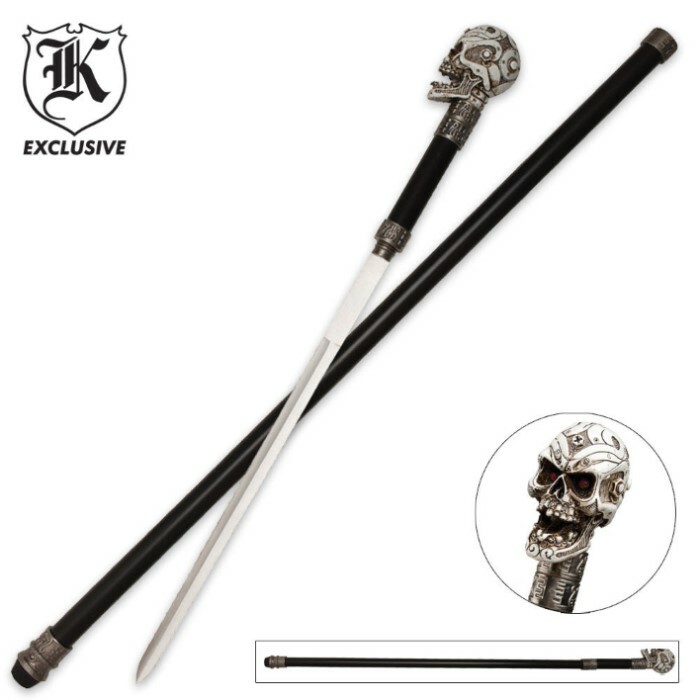 The sword screws in and stays secure, how ever it does rattle when the can hits the ground while walking, but some minor modifications should fix it no problem, all in all I would recommend this to anyone who's looking for a nice solid goth style cane. This sword is worth the price. I like the sword, but it doesn't have a edge on it at all...on either side! One side has a lot of gashes on it and can't be sharpened without losing half of the blade ,and the other is so dull that it would take forever to sharpen!